We launched Plecto in 2012 as an easy way to log and visualize activities in call centers. Right from the beginning, the user experience was very important to us. Since then, Plecto has become so much more - and is used by more or less any type of business, not just call centers. This has challenged our existing layout for a long time. On Monday the 15th of May 2017 we’re launching our biggest change in user experience since we started as well as some additional cool features! We’ve moved the navigation from the top of the screen, to the left. This gives us so much more vertical space, which we can use to give a better overview. We’ve spent weeks designing custom icons that express what you can do with the product and I hope you are going to like them. We have also grouped our different features by the benefit they give – so you can easily find what you’re looking for, whether you are a new or very experienced user. To further increase navigation, we’ve added a clear path to the top of every page so you always know where you are. 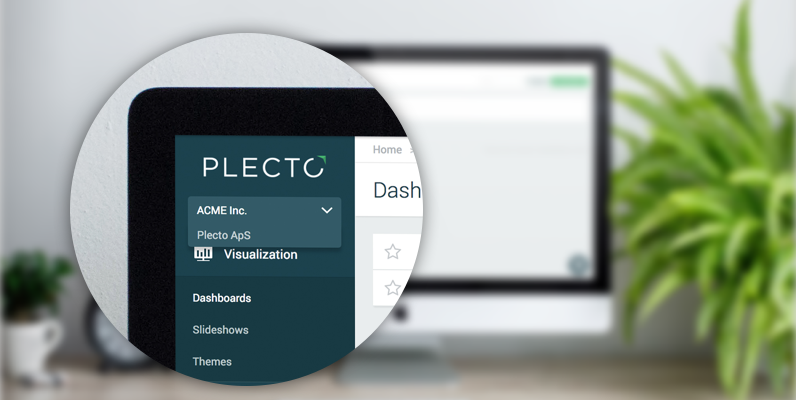 We’ve also improved the text displayed in the title of your browser, if you use Plecto in multiple tabs – like most of our customers. Additionally, we’ve heard from many clients, how they would love to be able to customize the appearance of our dashboards. 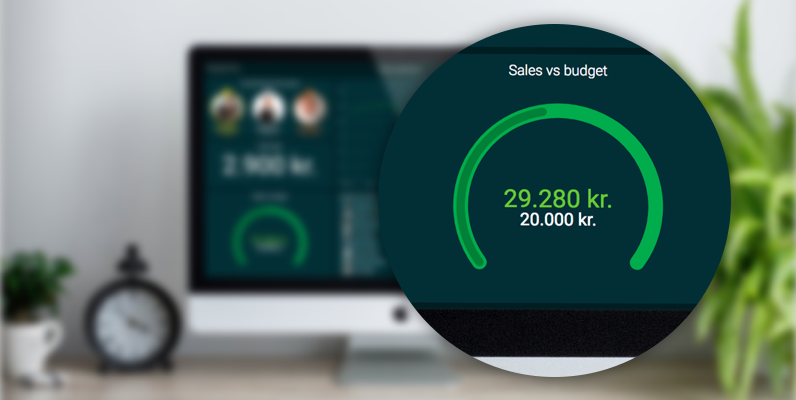 We love the idea and now you can customize the colors and backgrounds of your dashboards to fit your corporate identity. You can select custom background colors as well as backgrounds and either get a dark or white widget overlay on top. You might wonder about the fancy speedometer gauge in the custom theme designer above. We have updated the speedometer gauges so it is now possible to show when your team goes above and beyond and break the targets. If your business has separate Plecto organisations for your different departments, we've made it much easier to switch between the different departments. On every page, you can now easily switch between them with just one click!